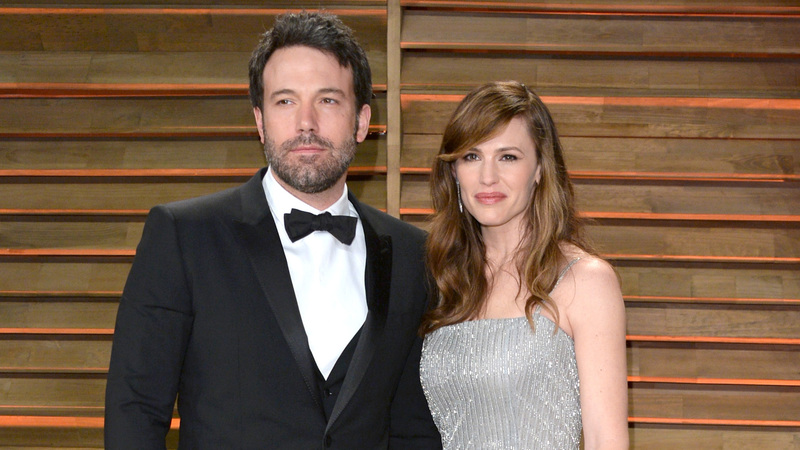 It's official: According to TMZ, Ben Affleck and Jennifer Garner have reportedly settled the terms of their divorce after Garner officially filed in April 2017. The move marks a major step forward for Affleck and Garner, who first announced their split in 2015, just one day after their 10th wedding anniversary. According to sources who spoke to TMZ, settling their divorce was "complicated and time-consuming" for Affleck and Garner. This was due in large part to the fact that the couple apparently did not sign a prenup before tying the knot in 2005. Without a prenup, all of their earnings during their 12-year marriage needed to be divided, as did their property, in order for the divorce to be settled. TMZ also reports that Affleck and Garner will maintain joint custody of their three children. The outlet notes that the divorce settlement does not define how much time each parent will have with the kids, but sources told them that co-parenting has worked thus far. According to TMZ's sources, Affleck and Garner plan to divide time with their children based on their work schedules rather than on a court-appointed schedule. Although the divorce is settled, TMZ reports the paperwork has not been signed. That will have to wait until Affleck finishes his current stint in rehab, at which time the document will be signed and delivered to a judge for finalization. E! News reports that Garner drove Affleck to a rehabilitation center and checked him in on Aug. 22 after he reached out to her for help following a several-day drinking binge. The outlet has since reported that Affleck will spend at least 30 days in treatment for the lapse in his recovery. Although TMZ says there's no chance of Affleck and Garner reconciling their romantic relationship, it's encouraging to see them supporting each other and working together to raise their children. Celebrity divorces are often messy, especially when they get dragged through the headlines, and we respect that Affleck and Garner seem to be doing everything they can to make sure their marriage ends on the best possible terms.